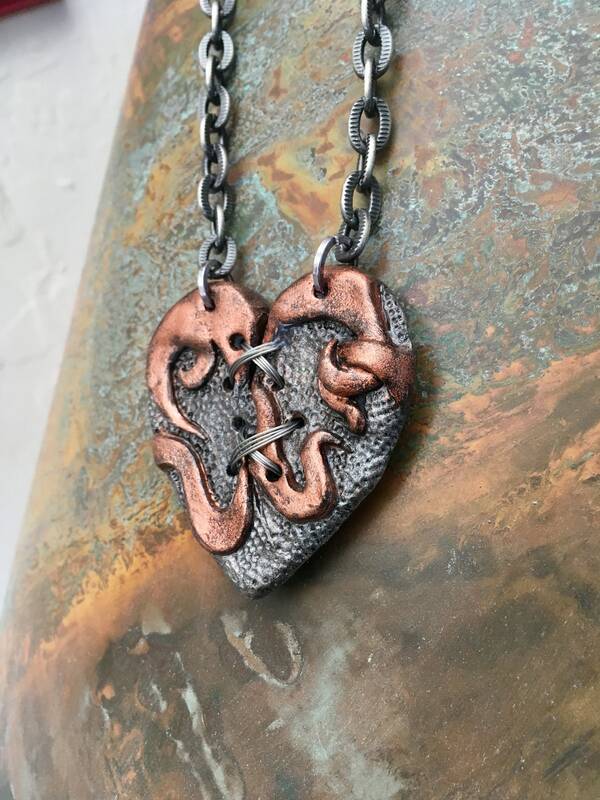 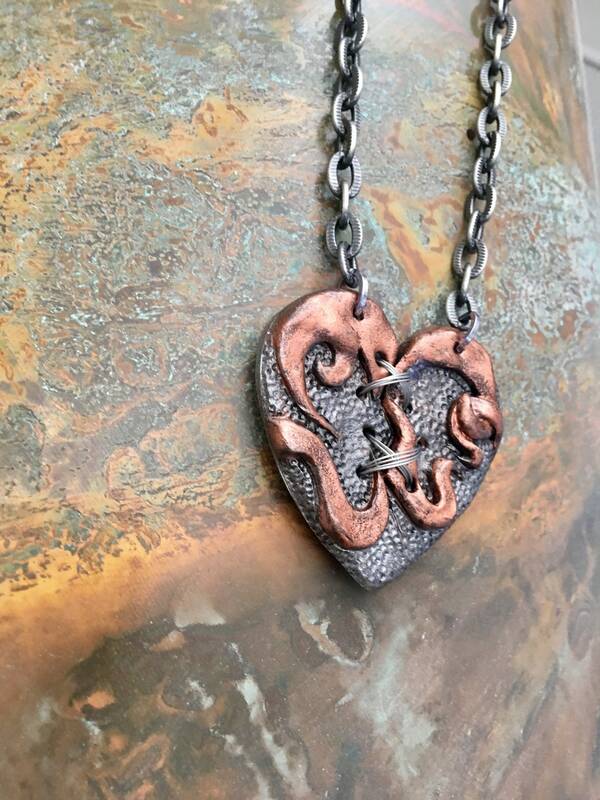 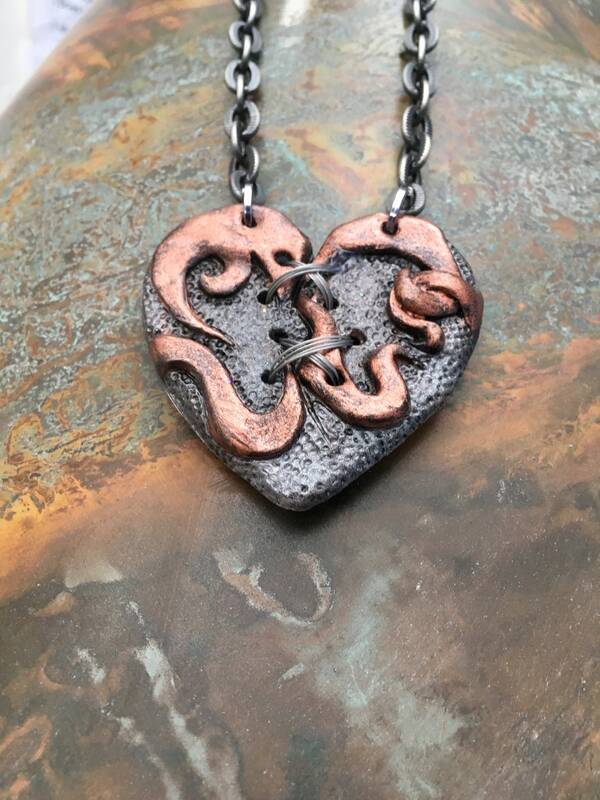 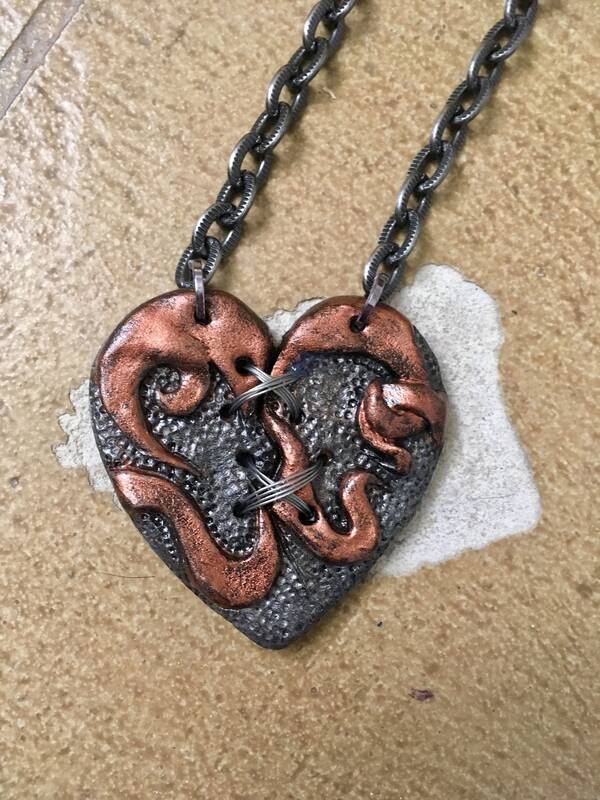 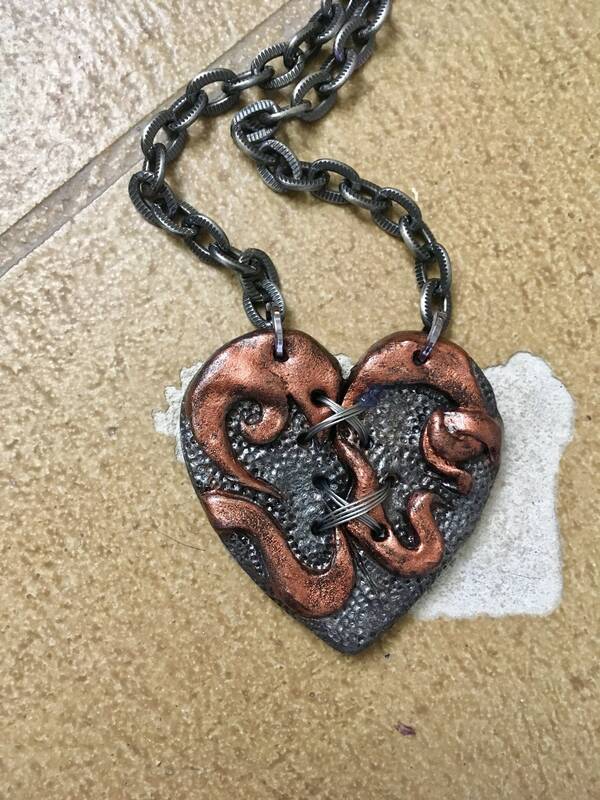 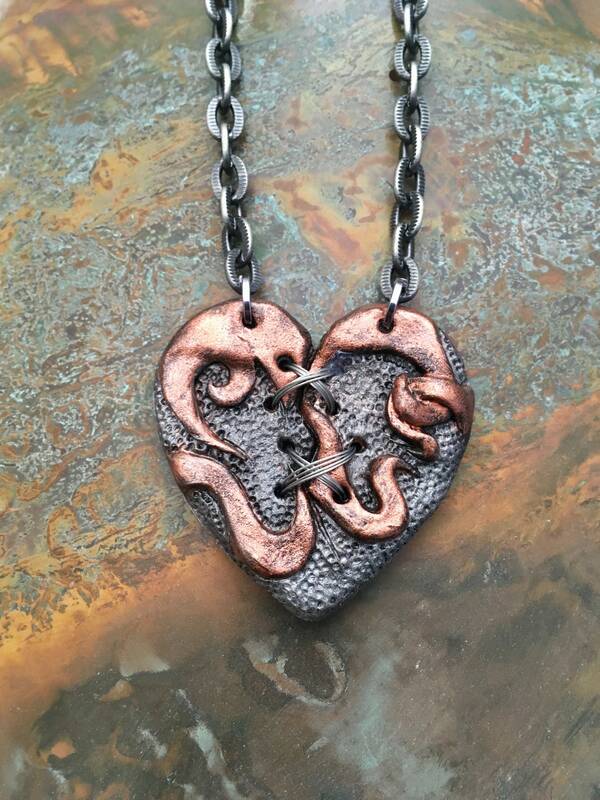 Handmade Ex Marks the Heart necklace. 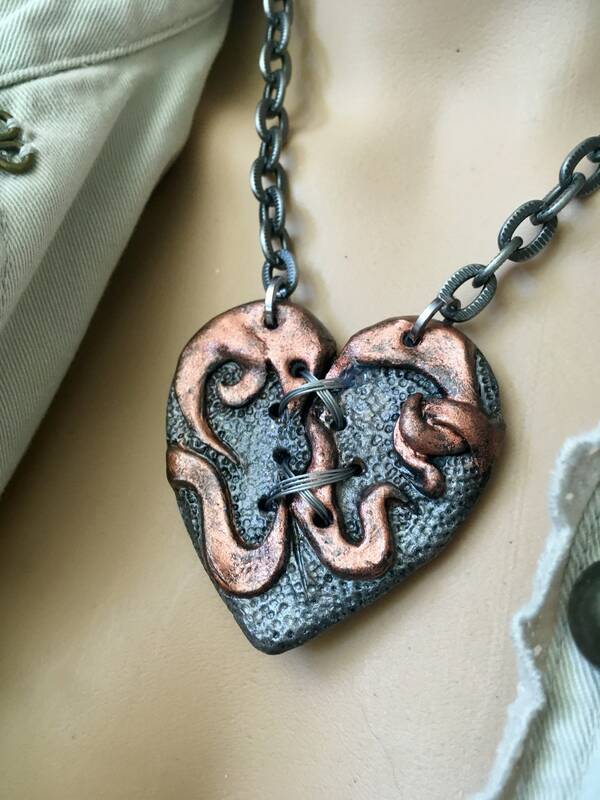 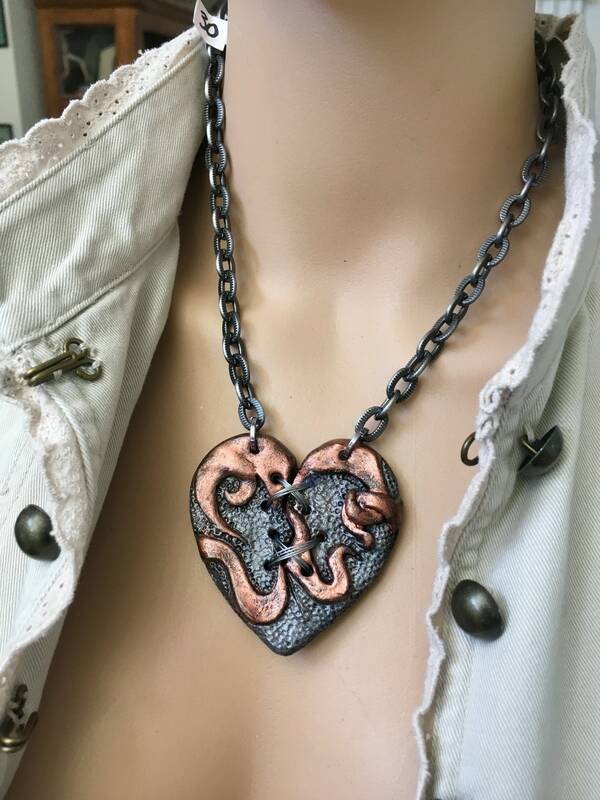 This necklace has a unique dimensional design. 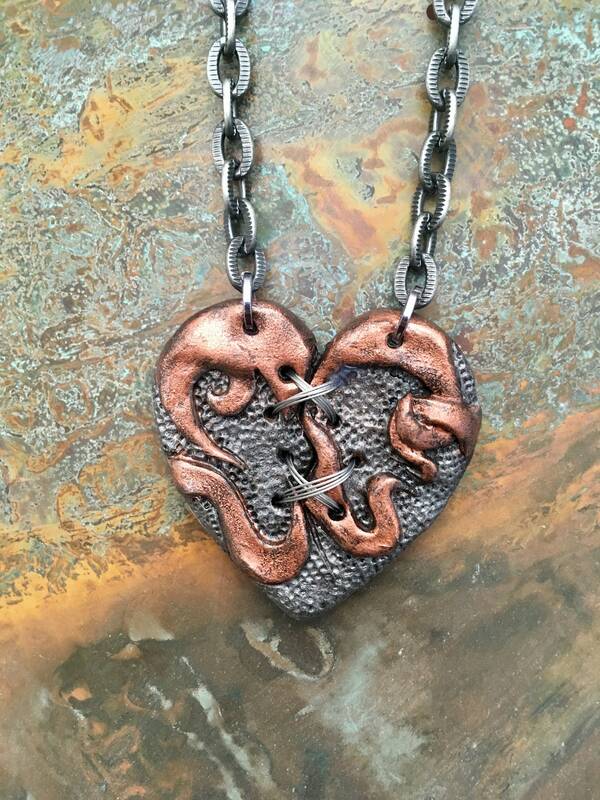 Cast resin and embellished with silver stitching and metallic paints.